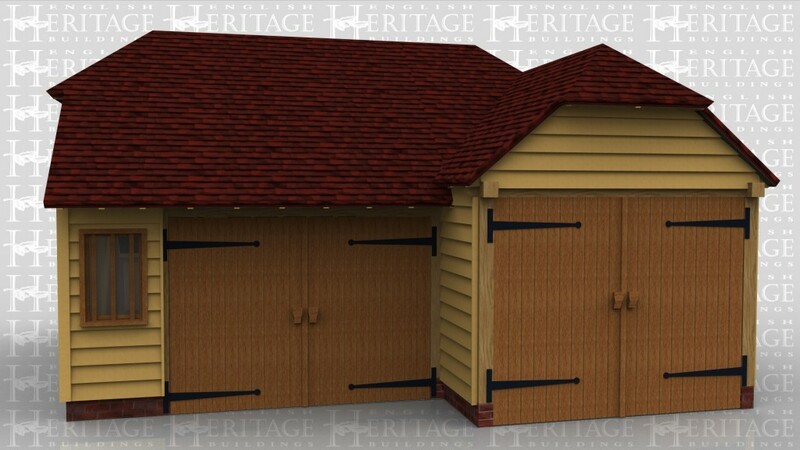 This oak framed garage complex is formed of a single bay garage with a set of garage doors to the front and a small mullion window. 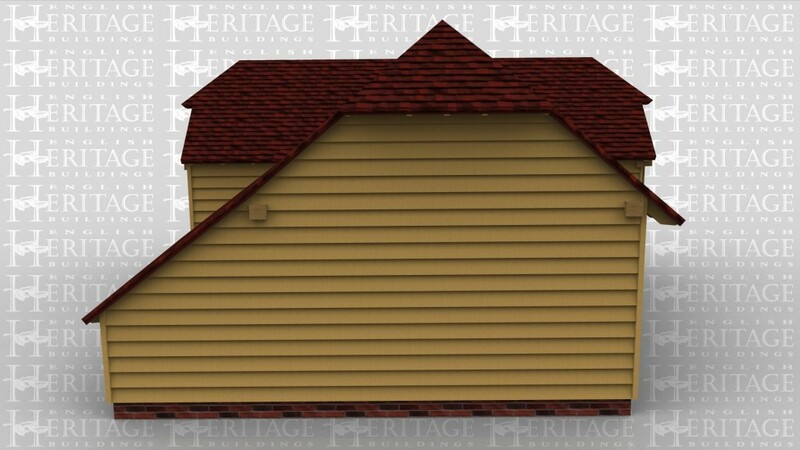 There is also an enclosed store to the rear. 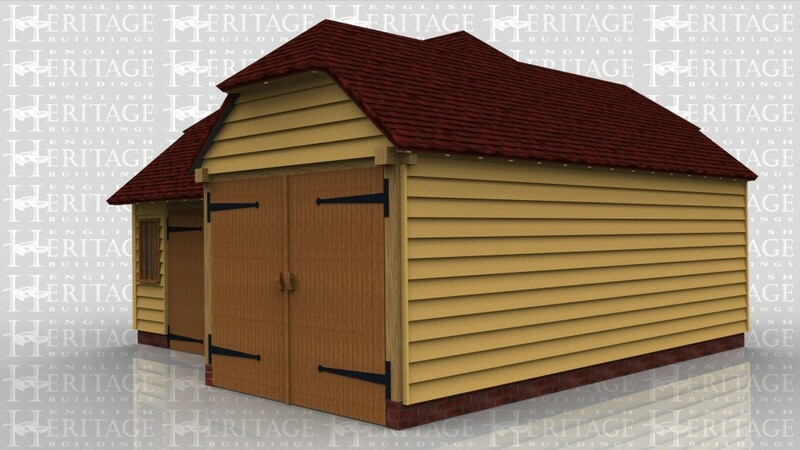 The second frame is a three bay enclosed garage with a set of garage doors to the left side.